A lot of babies and toddlers have issues digesting cows milk and yoghurt (my kids included) but many find that goat milk is much gentler and easier to digest. My oldest daughter really loves yoghurt, but traditional cows milk yoghurt generally upsets her stomach and she can only have small quantities of it. When CapriLac asked us to trial their range of goat milk and goat yoghurt, we jumped at the chance. While I knew that you could buy goat milk in the stores, I have to admit that I was unaware that goat yoghurt was readily available (Coles and Woolworths are stockists in Australia). This dip is great to pair with crackers or cut up vegetables like cucumber, zucchini or carrot. It is really easy to make as well. For this version we simply add mint (we grow the mint in our Toddler Herb Garden) to the CapriLac goat yoghurt. 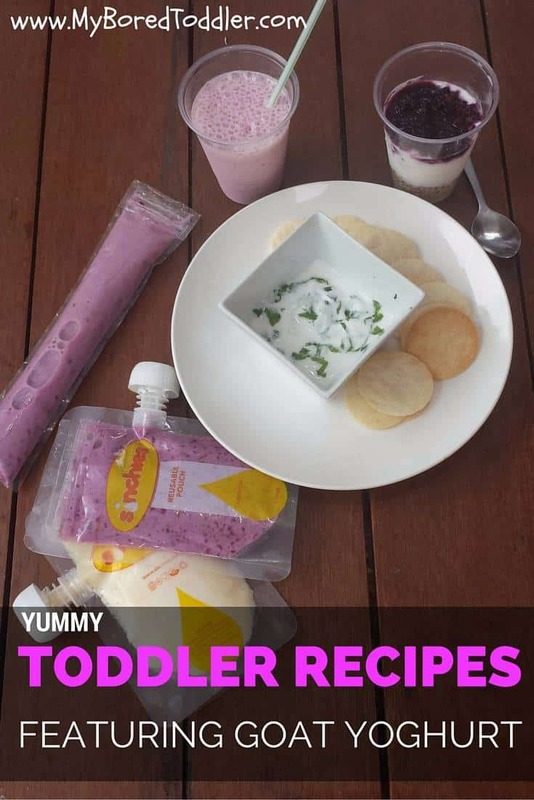 A smoothie is a great way to get your toddler to eat their fruit and yoghurt. 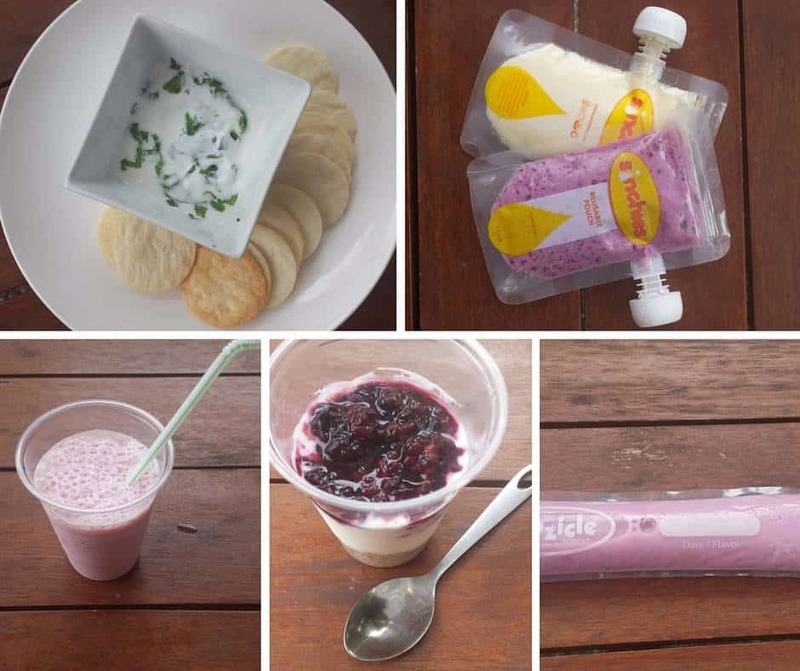 For this recipe we used 1/2 cup of CapriLac goat yoghurt, 1/2 cup CapriLac goat milk, 1/2 banana and 5-6 Raspberries. Simply blend them all together and serve. My kids love ice blocks in Summer and I love making our own. The ones in the stores are generally full of sugar and artificial additives, so home made is much healthier. For these ones I simply blended CapriLac goat yoghurt with frozen blackberries and add them to a reusable ice block mould. They take 4-5 hours to freeze and make a great nutritious treat on a hot day. I’ve mentioned before that almost all of the yoghurt pouches that are marketed to children (even babies) are full of sugar (check the back of the packets – you’ll be shocked). I’ve always like to make my own and it’s really easy to do. There are quite a few brands of reusable pouches that you can buy. I like the Sinchies brand as I’ve found that they don’t leak, however there are plenty to choose from. To make these you blend the CapriLac goat yoghurt with your fruit of choice. We had a mango variety and a blackberry flavour, however you can use whatever fruit combination you prefer. My kids love these! They are a great fun and nutritious breakfast. For these ones we layered muesli, CapriLac goat yoghurt and blended blackberries. 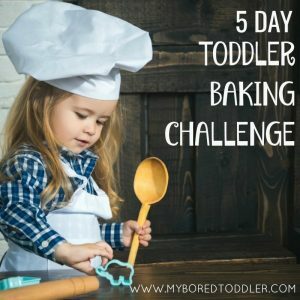 Your toddler will love these! I make a larger version for myself too. If they prefer them a bit sweeter you can add a bit of honey or maple syrup too. *This post was sponsored by CapriLac however all opinions are my own.